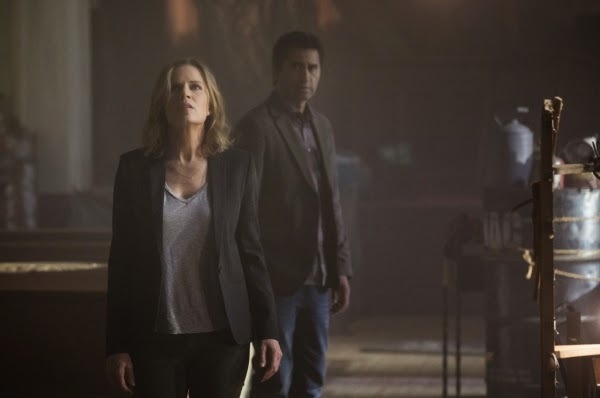 The Walking Dead spinoff has a name - Fear the Walking Dead. AMC ordered 2 seasons - 6 episodes for the first season, not known for the second. Who's looking forward to this? I'm excited to see what happened in other parts of the country. Fear the Walking Dead will take place in Los Angeles and will follow a family in the early days of the apocalypse. The spin-off will have nothing to do with the comic books. Filming continues in April and season one will air this summer. The new series will begin before the epidemic takes hold. We'll meet the family in their normal lives, rather than post apocalyptic as in The Walking Dead, and only we (the audience) will know that the end is coming very soon. Teachers Madison and Travis, and their older teenage children, Alicia and Ian, Travis’ ex Liza and their teenage son Christopher, in a family about to break apart. Drugs, illness, self-harm, set in Los Angeles, this is not so much a nuclear family as a dirty bomb. Rick’s family were torn apart, this family are there from the beginning.